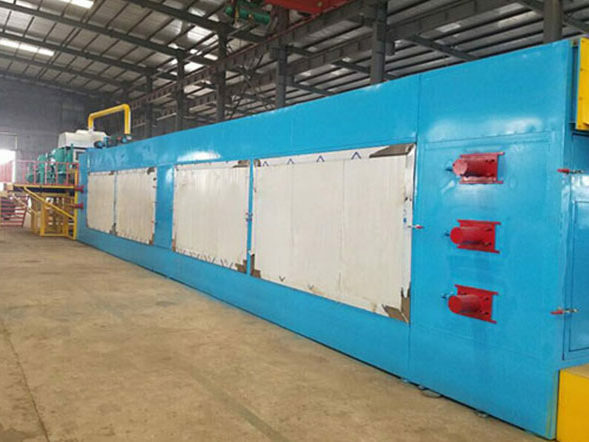 Egg tray drying system is the third section of an egg tray production line, which works after the pulp molding machine. In general, the drying system greatly matters the automation level of a pulp molding production line. On the other hand, it also has a large influence on the occupied area of a plant. 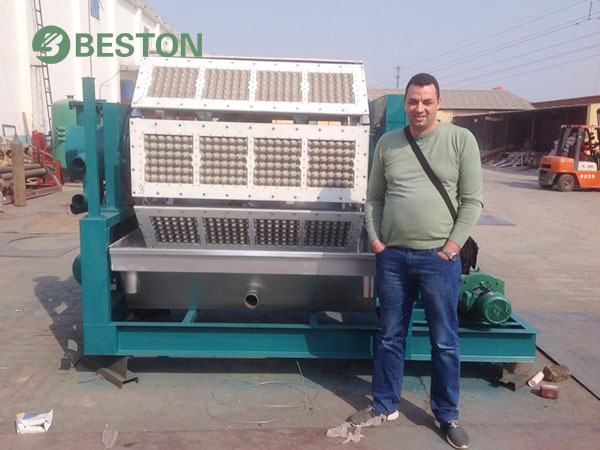 Except for high-class egg tray machine, Beston Machinery also has developed a series of mature drying modes for different customers. 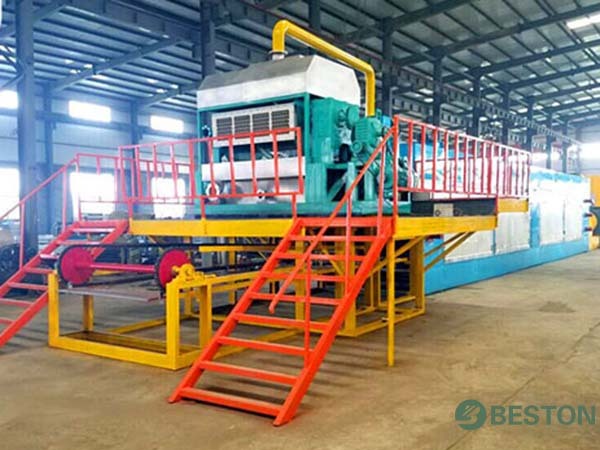 We have provided the most appropriate egg tray drying line in accordance with the output of paper pulp moulding machine, the labor force, fuel, space, building materials, etc. At present, there are 3 kinds of drying modes. 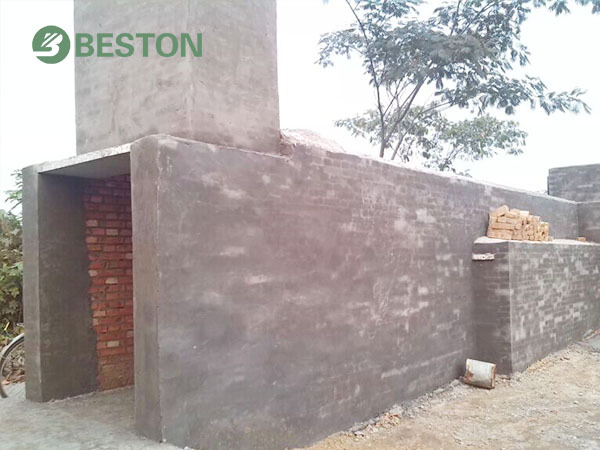 They are natural drying, brick drying room with a conveyor belt and metal drying room with a conveyor belt. As for the metal drying room, we provide both single-layer and multilayer conveyor belt. 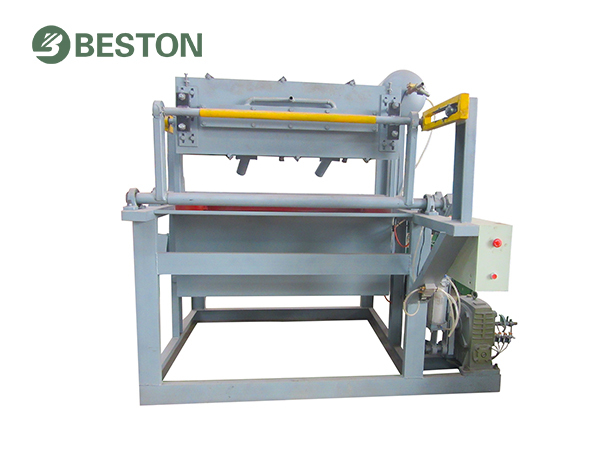 Different kinds of egg tray drying system fit for different egg tray making machines. The main equipment is drying racks. 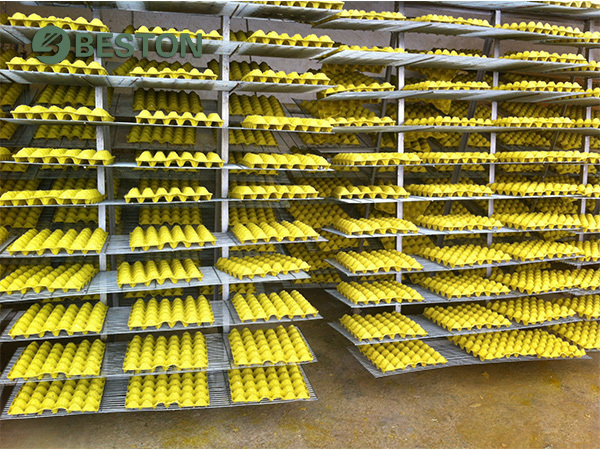 We provide multilevel racks to place wet egg trays. These racks are with wheels, which can make full use of space and move freely. We call these racks as carts as well. Our carts are simple, stable, lightfast and durable. More importantly, they are low in price to greatly cut down the investment costs on mechanical equipment. And it is easy to operate. However, it requires nice weather, large space, and more labor input. As a rule, natural drying is suitable for small egg tray machine. Brick Drying Room with a Conveyor Belt. In this egg tray drying system, carts are replaced by a conveyor belt. It means that the pulp molded products are transferred to the conveyor belt without manual work. It is safe and easy to operate and maintain. Similar to the brick drying room with carts, there is a temperature meter to monitor the temperature inside in real time. In general, the temperature should be controlled from 180 to 220 degrees Celsius. Through our advanced technology and ingenious design, the heat produced can be fully utilized. Moreover, its service life is long. This egg tray drying line is the most commonly used, which is suitable for BTF-4-4, BTF-3-8, BTF-4-12, etc. Metal Drying Room with a Conveyor Belt. 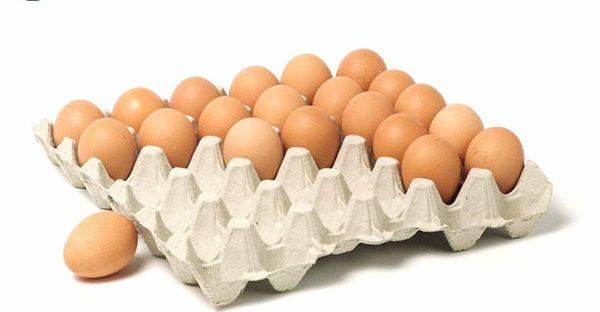 We design the egg tray drying system on the basis of evaporating moisture by heat. Compared to brick drying room with a conveyor belt, it is easier to operate, transport and install. 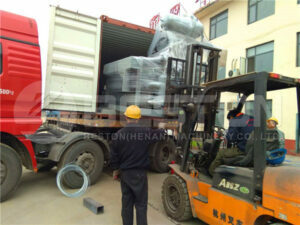 Moreover, we can provide a multilayer conveyor belt to save more space. For instance, if the egg tray drying line is equipped with a single-layer conveyor belt, the length of workshop cannot be less than 70 meters. While the multilayer dry line covers a smaller area, say, 40 meters. In general, the height of workshop is about 5 meters. It is obvious that the drying efficiency is higher, as well as the automation level. Although we have removed some water with vacuum pump in molding system, there is still more than 60% water left in the pulp molded products. Thus, we need an egg tray drying line after transferring the wet products out of the molding dies. 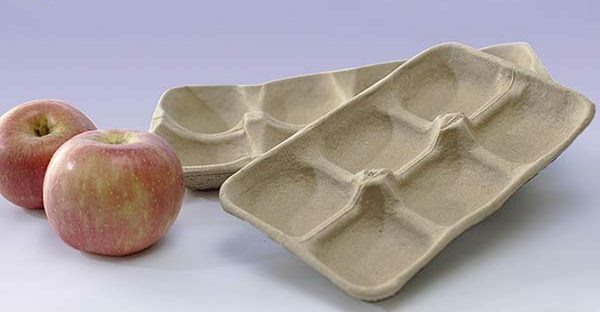 In terms of the products molded with paper pulp, drying system is conducive to molding and storing. Since our company has established, we have devoted to increasing the drying efficiency, recycling the heat produced, reducing energy consumption and beautifying the appearance. Our products, including our pulp molding machine, egg tray drying system, pulp molding dies, etc. have gained a wide appreciation. Easy to construct and maintain. In recent years, we have developed diversified pulp molding equipment, including egg tray machine, shoe tray making machine, egg carton making machine, apple tray making machine, seedling tray making machine, etc. As promised, we have always provided paper pulp moulding machine of high quality, as well as egg tray drying system. To know your own conditions. Above all, each drying system has its own advantages. For the purpose of maximizing the return on investment, we commit to offering the most suitable solutions for customers. The following factors will be taken into account, including space, weather conditions, labor force, fuels, building materials and the specification of egg tray making equipment. Natural drying requires more space and better weather. And it is applicable for the small-scale egg tray making machines. While metal drying room with a conveyor belt is featured with high automation and easy operation. It is often offered to the customers who have a long-term investing plan. It should be informed that some kinds of fuels cannot be used for metal drying line, such as coal, wood charcoal, bamboo charcoal. In terms of the brick drying line with a conveyor belt, it will cover a large area since the conveyor belt is single-layer. While more workers are needed for the brick drying line with carts. Through analyzing these factors, we will design the optimal egg tray drying system for each customer. Contact us to get yours!